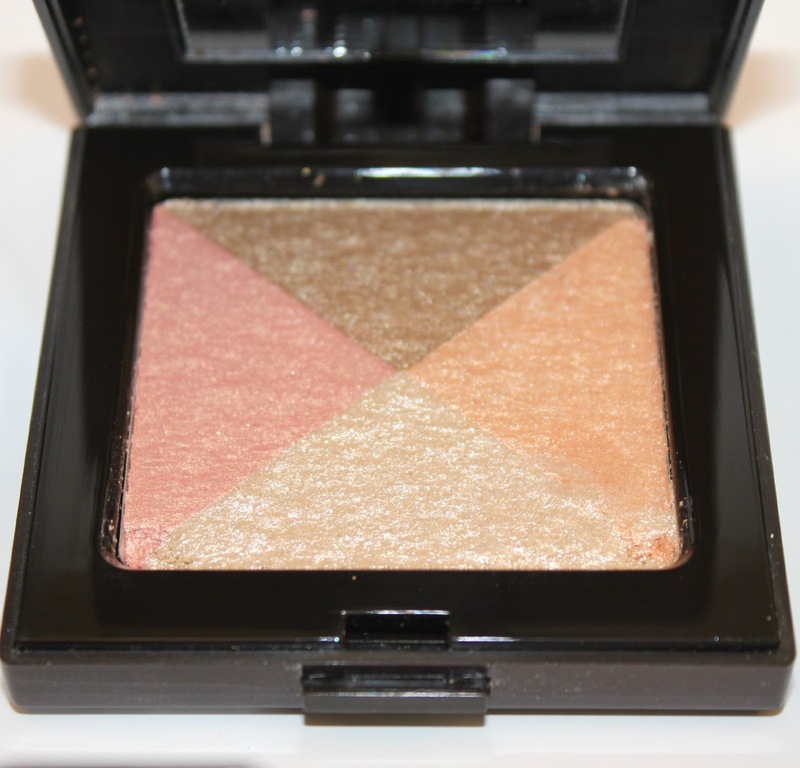 this fall Laura Mercier included the shimmer bloc in their Fall 2012 Cinema Noir makeup collection. my initial thoughts on this product were 'oh good, another highlighter'. i love highlighters as they make all the difference in taking your makeup for plain to POW! little did i know that this compact had hidden powers. first, the highlighting option is fantastic as you have several shades of shimmer. you can blend all four together or you can mix and match. i like to use the pink portion on my cheek bones, the vanilla shade for my brow bone and the orange shade for down the center of my nose. the brown shade is great for when i am sporting my fake tan and want more of a natural toned shimmer. didn't i tell you this palette was awesome? even better was that i discovered what an amazing option it was for eyeshadow. you read that right, eyeshadow. with all the traveling i have been doing for the last month i have been limited in my access to makeup. this forced me to think a bit outside the box--or compact in this instance--and look for multiple use products. i had forgotten to pack along a shimmer shadow on one of my trips and quickly used this as a substitute. i LOVED it. not only did it look good, it worked insanely well as an eyeshadow. plus, each shade gave a great option: vanilla for glam, brown for smoky and pink for natural. a dab of this on your lips gives a great pearlescent shimmer to lip gloss and sparingly brush this on your décolletage for a great evening look. bravo! Laura Mercier. i have discovered a new product and found it to be even greater than i realized. The colors are very pretty and perfect to creat a soft fall look.